Right, well, that’s the Premier League underway, and now that every team has played at least once I think we’re justified in jumping to conclusions. After all, if we learnt nothing else from the World Cup – and we didn’t – it’s that you can easily forecast what the general outcome of a tournament will be from its first set of matches. So here’s the prediction: this season, Match of the Day and Match of the Day 2 will be worse than ever. I had high hopes that once Adrian Chiles had been control+alt+deleted we might see a shake up in the MOTD offices, you know, some new faces and a bit of enthusiasm. Bring on Colin Murray I thought, he’ll have some new ideas. And what do we get? Lee Dixon commentating badly on a piece of fifty-year-old footage while Mark Lawrenson sulks in black and white. There’s an expression in chammy leather wholesale that says you can’t polish a turd, but bless him, Lawro still tries. Poor soul, the years of punditry have taken their toll, just look at his face: every time he’s presented with a clip he sighs and sinks a bit lower into the MOTD sofa. He doesn’t want to be there, he wants to be in a garden centre picking out a new birdbath. Look at his face! Meanwhile over on the grown up MOTD, Gary, Alan and Alan are like a convention of boringness wallowing in boredom as they try to outbore each other. Just one glance betrays their real thoughts: Hansen is thinking about his Morrison’s Christmas campaign, Lineker is praying for someone to say something interesting and Shearer is suffering delusions of grandeur that make Maradona modest. Is it just me or has Shearer not said anything interesting since his stint as Newcastle manager? Personally I think he’s lost his mojo. He’s a striker, a killer, he’s all about terrorising defences, slamming in goals and running off, one-arm-in-the-air. Sitting around moaning about other people’s mistakes is just making him bitter. Get out of there Alan! Go and manage a crap team, lose a few games, then win a play-off and run out onto the pitch, one-arm-in-the-air. You weren’t built for sofas. Now don’t get me wrong, I’m well aware of the irony of me moaning about other people moaning about football, and if you post a comment below, we’ll get into an unprecedented scenario of you moaning about me moaning about them moaning about football. Which I think is like the sort of dangerously introspective tiering that got Leonardo Di Caprio all flustered in Inception, I think. All it would take is for Lee Dixon to complete the circle by mentioning your comment on Sunday and skyscrapers will fall. But I’m not just moaning, I’m offering solutions: get rid of Lawro and Shearer (the others can stay, but only because we need some continuity) bring in Martin O’Neill to offer something remotely intelligent, and temper that with a dose of weekly ex-footballer who gets to guest present without settling into complacency, like Robbie Savage or Michael Owen. Then you mix it up with a few novelty rituals, say guess the highest scoring game or whatever, and whoever has chosen the game with the most goals come the end of the season gets some cash to donate to charity. The point is it’ll give them something to joke about other than Lawro’s 1980’s moustache. Please! That high scoring prediction thing would work you know, it’d reveal not only who punters thought was in form and dangerous, but also who was out of their depth in the Premier League. Which brings us neatly onto Chelsea’s opener. I have to say, I didn’t see it coming. Our pre-season form was pretty muted and our summer signings of Benayoun and Ramires were at best low-key (and I’m only following Drogba’s lead, by the way. According to him “All the teams are improving in terms of bringing in new players, very good players, and our team hasn’t really.” No, you’re quite right there Didi. To his credit he backtracked rapidly, saying “We haven’t bought a lot of players but quality players like Yossi and Ramires.” Nice work Didi, nobody saw that). And yet I have to say I like the approach. We’ve got a double winning side who are happy playing together, why shake that up with big name purchases? 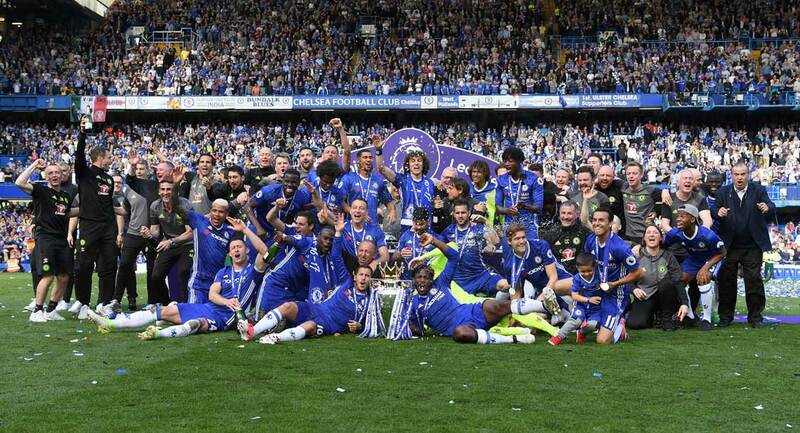 Admittedly, it can be argued that our Premiership win last season owed a fair amount to our relatively early Champions League exit, giving us a much needed rest while our title rivals exhausted themselves and picked up season-defining injuries, and that if we’re going to win the Champions League this time around we’re going to need to bolster certain positions (keeper, centre back). 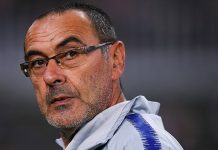 But winning the Champions League is as much about form as it is about individuals, it’s about players personal expectations and their reputation as a team, and frankly I think we have most chance with a Chelsea of familiar faces who are comfortable at their club.